Katie has a lovely home now, in the Forest of Dean with Gary and Linda. This is what Linda has to say about her: Katie is so settled in now. She is an absolute star - such a sweet dog and so funny too. She is quite lazy and on our walks is constantly behind everyone else just taking her time, sniffing the bushes and watching what's going on. If Breezer decides to go for a run then Katie is there with her but otherwise she just ambles about! 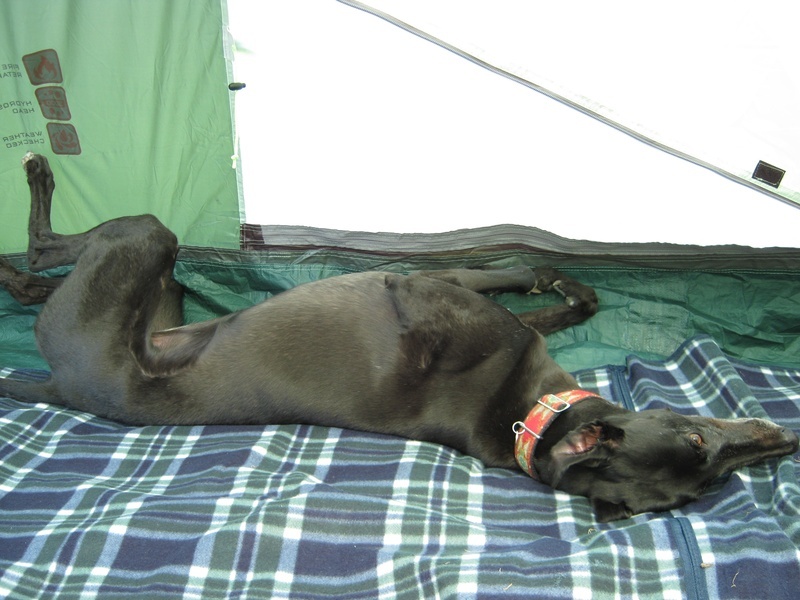 She's been on her first trip to the beach and on a camping trip and takes it all in her stride.